The first 24 hours after a dog goes missing are crucial, but luckily the odds are in your favor. A survey conducted by the American Society for the Prevention of Cruelty to Animals found that 93% of lost dogs return home safely! In addition to creating fliers and scouring the neighborhood, these 11 tips will help bring your missing pooch home faster. 1. Bring along a taste of home. Most lost pups are found within 20 minutes during a regular neighborhood search. 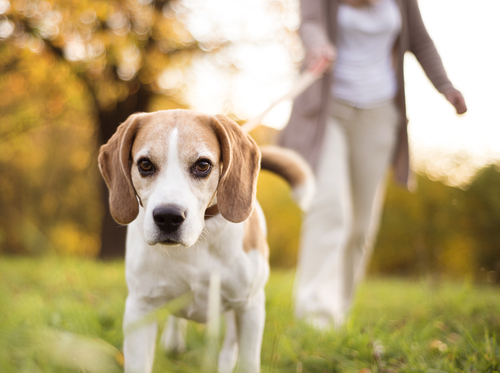 As soon as you realize your dog has gone missing, grab a leash, a favorite toy or blanket, and a few high-reward treats – then hit the pavement! Familiar items and extra-tasty treats will help put your dog at ease and entice him over when you find him. Think about your dog’s personality, age and activity level when determining where and how far to search. 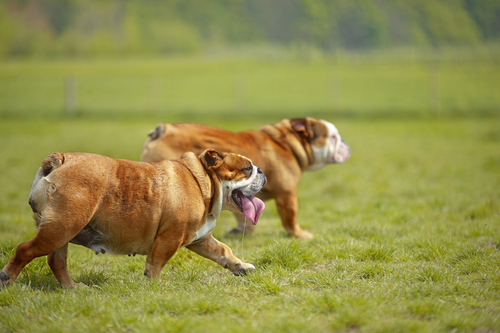 For example, a young Dalmatian that loves to run may end up miles from home, while a chubby, elderly Bulldog isn’t likely to roam beyond your block. Also, a social butterfly Golden Retriever may head straight to the local park, while a food-loving Lab opts to seek out the nearest restaurant dumpster. 4. Use a “search dog”. It may also be helpful to bring along one of your pup’s furry friends – whether another dog from your household or a neighborhood pal. Not only can the other dog track the escapee’s scent, his presence may help put your pooch at ease when you find him. You can never have too many eyes on the streets! Be sure to carry spare fliers and show additional photos of your dog to everyone you come across in your search area. Include business owners and visitors of places your dog is likely to visit or pass by. Don’t forget to go door-to-door in your immediate neighborhood to make sure those closest to you are keeping an eye out for your pooch. 6. Enlist the help of the internet. The internet has become one of the most powerful tools in reuniting lost pets with their owners – even years after they go missing! Facebook has several useful pages you should post to including your personal page, local lost pet forums, and community for-sale and event pages. You should also post a Lost Dog ad to Craigslist and search their “Found Pets” section several times a day for your dog. Additional sites like Pet FBI offer extensive free resources for lost pet owners including a huge database, flier templates, and expert tips. 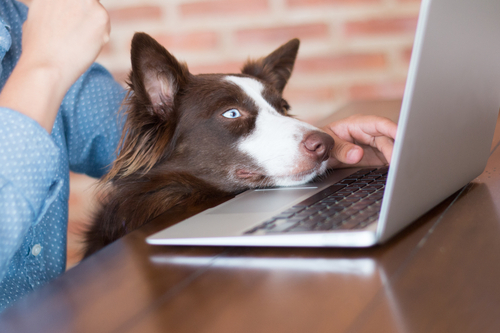 In all postings, include recent photos of your dog, where and when he was last seen, a physical description, and as much contact information as you are comfortable making public. When it comes to describing your dog, consider leaving out a small identifying feature like a scar or birthmark to prevent yourself from being taken advantage of by scammers. 7. Contact local animal shelters and rescues. The Humane Society of the United States recommends filing lost pet reports with every shelter within a 60-mile radius of your home. Be sure to provide an accurate physical description and a recent photograph to each organization. 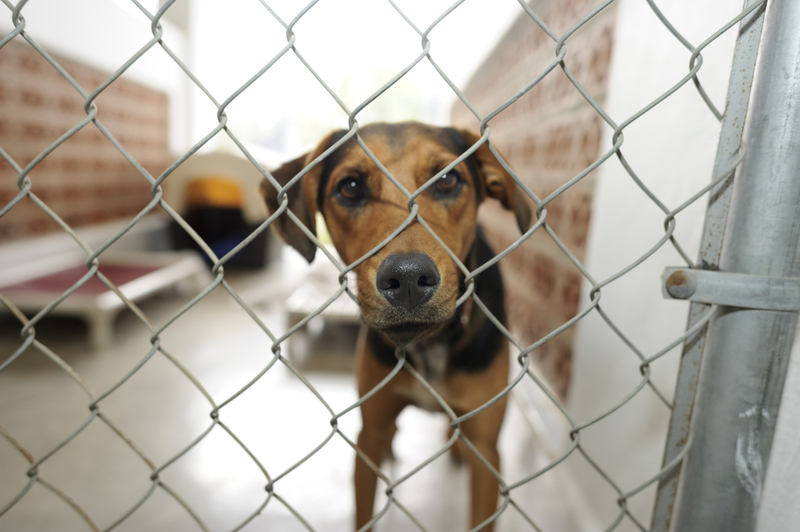 Remember, shelters are very busy so the Humane Society suggests visiting the most likely facilities in person and checking in with them daily. If your community does not have an animal shelter, contact the local police department and provide them with your dog’s information. 8. Notify veterinary offices and pet-related businesses. 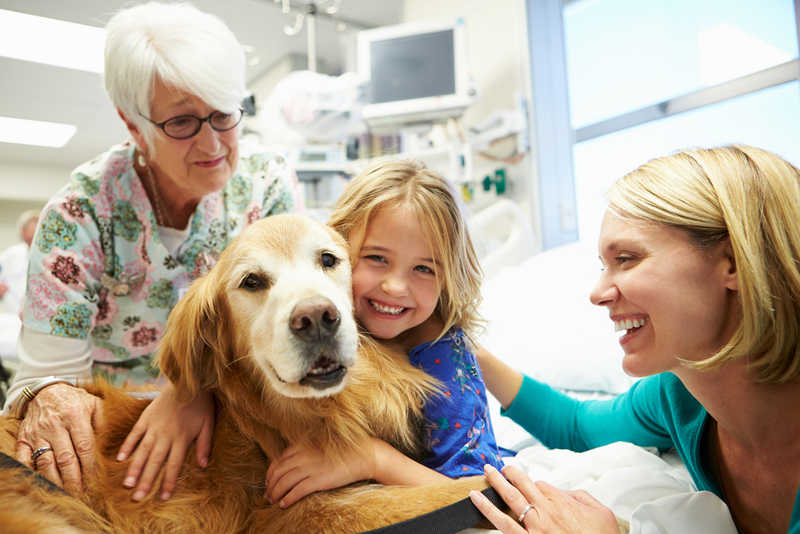 Good Samaritans who find lost dogs often bring them to their local veterinary office for medical attention or simply to check for a microchip. Experts recommend sending your dog’s photo and description to vets within a 30 mile radius of where they went missing, and expanding out a few miles every few days until your dog returns home. While groomers and pet shops are less likely to have possession of your dog, they may have heard something through the grapevine. Also, if your dog was stolen or adopted by a new family, it’s possible they’ll bring him to one of these businesses for services or supplies. 9. Alert the microchip company. If your pet has a microchip, call the company to let them know your dog is missing and to make sure the contact information they have on file is up-to-date and accurate. Many of these companies offer additional resources to help bring your dog home such as 24-hour lost pet specialists to guide you through the search process; lost pet alerts sent out to veterinarians, shelters and volunteer rescuers in your area; and travel assistance for found pets. 10. Do NOT give chase. 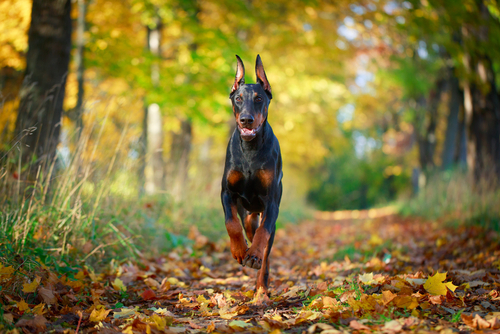 If you spot your dog, resist the urge to chase after him at all costs! Some pups see chase as a fun game, while others – especially those traumatized from being on their own – may feel threatened. Either way, if you run, chances are your dog is going to run in the opposite direction. This not only reduces your chances of bringing him home, it also puts him at risk of running into the street and getting hit by a car. Instead, consider a variation of a technique used by trainers and shelter staff when a dog gets loose. Professionals suggest lying down on the ground or even running in the opposite direction, but these strategies are designed to arouse the curiosity of a pooch in a playful mindset. A dog that has been lost for several hours or even days is likely to be frightened and in no mood to explore your strange behavior. 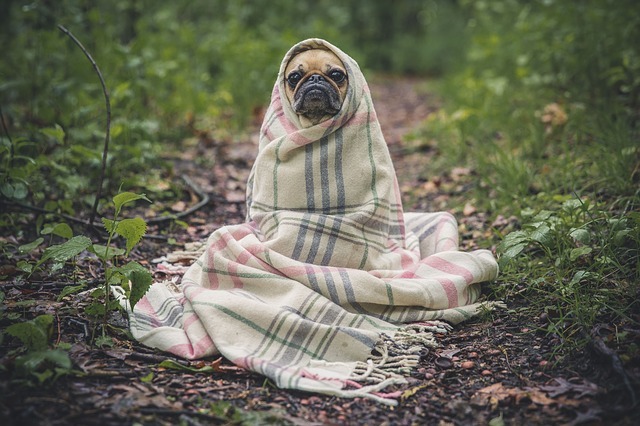 Rather than chasing or trying to lure the dog to you, sit down with your back to him, place a few treats and his toy or blanket nearby, and wait for him to come to you. This method arouses curiosity in a non-threatening way. *Make sure everyone in your search party and online network knows not to chase your dog! 11. Create a home away from home. If you are unable to locate your dog by the end of the first day, leave behind some comforts and reminders of home at the spot where you last saw him. The lost pet experts at Pet FBI recommend setting up a crate with bedding or clothing carrying your scent, and placing bowls with food and water. If your pooch returns to that location, he will hopefully remain there until you make your next sweep of the area. Own the door: One of the most important lessons a dog parent can teach after basic obedience is that you “own the door” and the dog is not to cross the threshold without his leash. Eyes on: Make sure you can see your dog at all times when he is outdoors. Even if you have a fenced yard, someone may leave the gate open or your sneaky pooch may dig under or climb over the fence. ID tags: Dr. Emily Weiss, a certified-applied animal behaviorist and vice president of shelter research and development for the ASPCA, advises dog owners to fit them with detailed identification tags. “We suggest that the tag should have the cell phone number of the pet parent, the cell number of an emergency contact, the land line of the pet parent, and if the person is comfortable doing so, the street address of their home,” she says. Plus, there are some really cool ones out there to suit any pup’s personality! Microchip: Microchips are inexpensive, easy to implant, and responsible for two-and-a-half times more pets returning home to their families. Since these tiny devices are implanted beneath the skin, they cannot be lost the way ID tags, collars and GPS devices can. 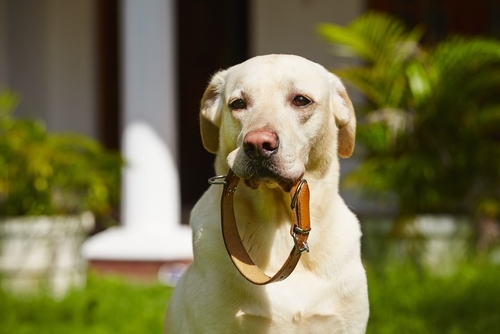 Slip-proof collar or harness: Collars are important for showcasing your dog’s ID tags, but may not be the best choice for attaching the leash. Traditional collars are easily slipped, so unless your dog wears a martingale collar, it may be safer to walk your dog on a harness. Mobile Tracking Device: There are now GPS tracking devices you can attach to your dog’s collar that will pinpoint their exact location. However, these are no substitute for a microchip as they rely on batteries and your dog may lose his collar or the device while lost. They also tend to be pricey and have additional monthly or annual fees.